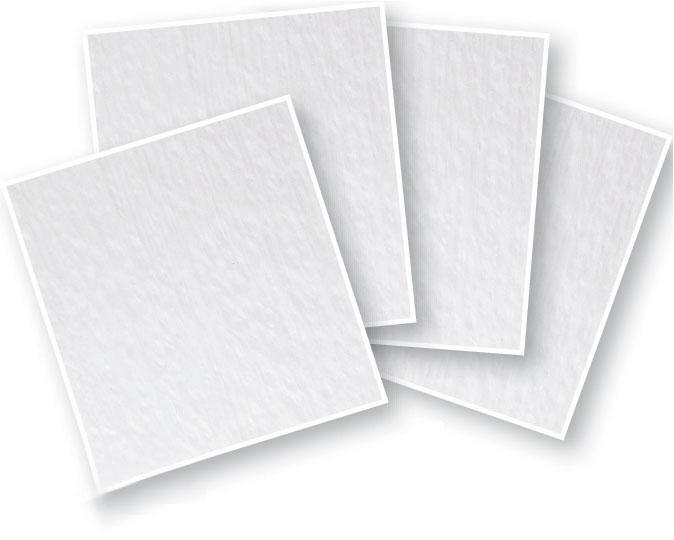 The Perfect Size for the Small Glass Studio Pre-cut clear fusible glass squares are easy to store and even easier to work with! Add fun decoration with liquid stringer, fusing photo paper, pre-cut glass chips or a multitude of other fusible options for instant art. Incorporate squares into larger fused projects, or cut and nip them down into pieces the perfect size for jewelry. Squares measure approximately 6". Sold in packs of four. 90 COE. Red and clear fused dish by Five Point Glass, fused glass pendant with metal clay bezel setting by artist Julie Mann, blue fused dish by artist Wendy Morowitz, emerald dichroic ring by artist by artist Pamela Johnson. 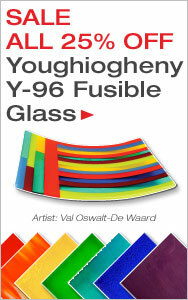 From handmade Bullseye and Uroboros Glass, to new, economic Wissmach and Delphi Studio glass, we offer a huge selection of COE 90 fusible glass. Create with glass sheets, packs, frit, powders, rods, pre-cuts and more. 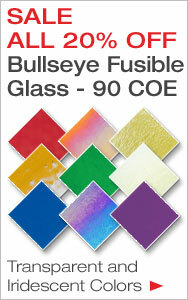 Delphi is always expanding its fusible glass selection. Delphi Tip: Combine fusible glass with 90 COE Dichroic Glass or Delphi Exclusive 90 COE Millefiori to make dazzling dichroic jewelry. Please Note: Never use 90 and 96 COE glass in a project. It will cause stress and result in your piece breaking. When fusing, fire with one COE if combining glass pieces.